Family life is nothing if not busy, so Middletown and Mechanicstown families need a minivan that can easily fit around their hectic schedules. We’ve found that the 2015 Honda Odyssey is an exceptional choice, but some customers are asking how that vehicle compares to the 2015 Toyota Sienna. We’ve written this guide to break it down for you. Both vehicles come with five different trim levels, with similar pricing structures. However, a look at the standard features reveals which one has been engineered to enhance the family life of Mechanicstown families. LX: Starting at $28,975,* the LX incorporates a Remote Entry System, allowing the kids access when you’re just heading out the door. EX: Starting at $32,275,* the EX lets you enjoy Tri-Zone Automatic Climate Control to keep everyone happy. EX-L: Starting at $35,775,* the EX-L lets you drive with confidence, utilizing both a Lane Departure Warning and Forward Collision Warning System. Touring: Starting $42,030,* the Touring trim makes convenience look and feel spectacular, with 18-inch alloy wheels, and a Driver’s Seat with Ten-Way Power Adjustment. 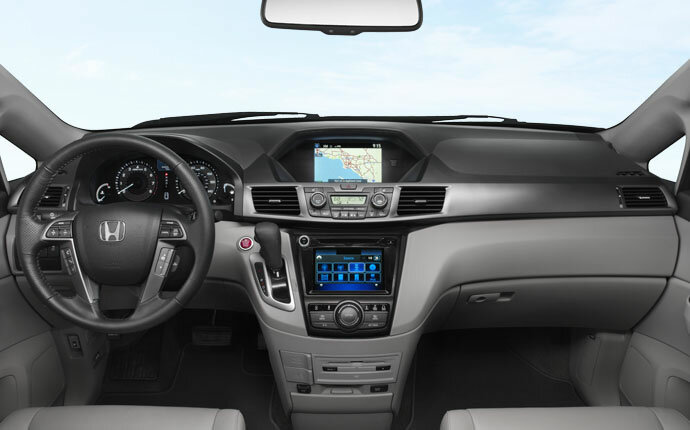 Touring Elite: Starting at $44,600,* you’ll get the Honda DVD Ultrawide Rear Entertainment System as standard. Enjoy total entertainment for the whole family. L: Starting at 28,600, the L trim comes with soft-touch materials to make the cabin feel a bit more comfy. LE: Starting at $31,330, the LE takes the features of the L, and adds the option of all-wheel drive. SE: Starting at $34,900, the SE prioritizes looks, with the inclusion of LED Daytime Running Lights. XLE: Starting at $35,100, the XLE features a Push Button Start System to get you rolling faster. Limited: Starting at $41,650, the Sienna’s premium trim is available in a special color: Blizzard Pearl. Minivans often end up becoming the heart of family life. You’ll do the school-runs, go on errands, and take holidays in yours, so it’s important to choose one that goes the distance on sensibly distributed power. 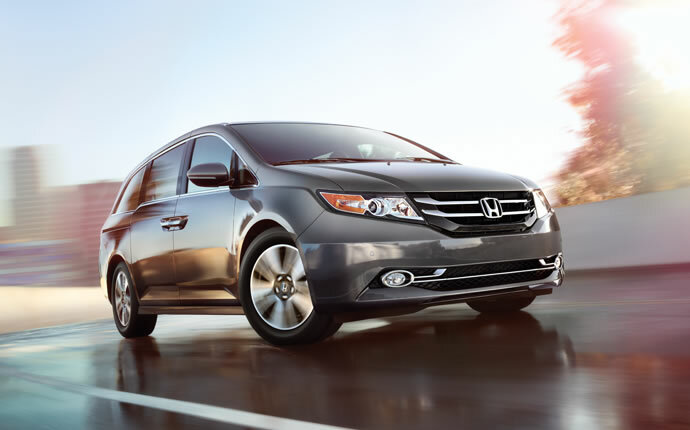 Both the 2015 Toyota Sienna and 2015 Honda Odyssey use 3.5L V6 engines. The Sienna beats the Odyssey in terms of horsepower, but trails in regards to torque, which is far more important in a larger vehicle. This isn’t a sports car — you need dependable pulling power when the vehicle is fully loaded, not high speeds. You’ll also need a vehicle with low fuel-consumption figures. The 2015 Odyssey uses a six-speed automatic transmission to produce 19 mpg in the city and 28 mpg on the highway. ** The Sienna gets only 18 mpg in the city and 25 mpg on the highway. Those differences add up, and we expect Middletown drivers to take notice. Spacious cabins are a minivan must. Both the 2015 Odyssey and 2015 Sienna incorporate sprawling interiors to ensure that — even filled with 7 passengers — everyone has room to stretch out. Even better, you can fold down the second and third rows to create a wide expanse of storage space. HondaLink: Aha compatibility means that you can get instant access to news, social media, audio books, and information relevant to your drive. You’ll keep your finger on the button, and keep the kids distracted. HondaVac: The 2015 Odyssey feels more like a sitting room than a traditional car, and it even comes with its own vacuum to complete the look. The only minivan with a built-in vacuum cleaner, you can reach the whole car with this handy device. 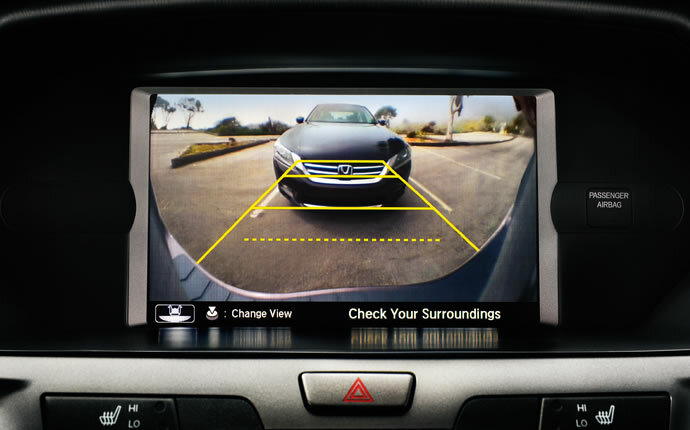 The 2015 Honda Odyssey includes a Rearview Camera as standard, as well as an optional Lane Departure Warning system, nicely upgrading the basic protection technology that comes with both vehicles. The Odyssey also benefits from better crash results, with the NHTSA giving it top marks in two out of three tests, compared to the Sienna’s one. That might seem like a small difference, but this is a vehicle that needs to provide protection for your family. If you need a minivan that has been engineered with Middletown and Mechanicstown families in mind, then look no further than the 2015 Honda Odyssey, which thoroughly outclasses the 2015 Toyota Sienna. For more information, simply contact Middletown Honda today. * 19 city/28 highway/22 combined mpg rating. Based on 2015 EPA mileage ratings. Use for comparison purposes only. Your mileage will vary depending on how you drive and maintain your vehicle.